Hasyudeen: Same kind of AG report next year? Same kind of AG report next year? The Auditor-General’s (AG) Department celebrated its 100th anniversary a few years ago. The department is part of our democratic institution in providing checks and balances to ensure public funds are spent effectively and efficiently. That is why the auditor-general reports directly to parliament. This is important so that we, the rakyat, would know how our money has been managed by those who were trusted to do so. As practised in the private sector, the AG and his team are supposed to be impartial and provide an independent view on how public funds had been managed. Beyond that, the department also promotes good governance within the public sector. One of the initiatives in this respect involves rating the accountability practices of federal and state ministries and agencies. The accountability index is based on the critical elements of financial management such as organisational control, budgeting, control over receipts and payments, management of assets and liabilities as well as financial reporting. Given the long history of the Auditor-General’s Department, the annual findings that were tabled to parliament without fail and the initiatives driven by the department, one would be wondering why we keep on reading about the serious shortfall in the execution of public expenditure? Would we be reading about the same issues being raised again next year? Last week, the government announced the setting up of a high-powered task force, headed by Chief Secretary to the Government Tan Sri Mohd Sidek Hassan, to study the 2008 Auditor-General’s Report and initiate appropriate action against those responsible for financial irregularities and abuse of power mentioned in the report. • Were there systemic failures in control procedures? Given the recurring nature of some of the issues, the understanding of whether they occurred because of certain shortcomings in the relevant agencies’ financial management framework and procedures would be useful. This would enable enhanced control measures to be put in place to prevent future breakdown in control. • Were there rampant control overrides? An internal control system is only as good as its execution. Although the system itself could have covered major risk areas, the outcome is determined by how the control had been executed. Control overrides could only be possible if more than one party was involved. Override normally originates from higher levels of management — individuals who normally have higher authority and power. • What happened to the people who were responsible and accountable for previous shortcomings? Were action taken against them? Were they subsequently disciplined, transferred, promoted or even decorated? Not much information on this was shared with the public and the public would be interested to know the outcomes of earlier actions towards the findings of the auditor-general. Decisive and strong actions by the government would send a strong message that such failures to discharge responsibilities are not tolerated, and that there would be consequences to those who are part of such practices. Perhaps information of this nature is made public this year. • What happened to the parties in the private sector who were involved in earlier misuse of public funds? The problem needs to be addressed from both sides. 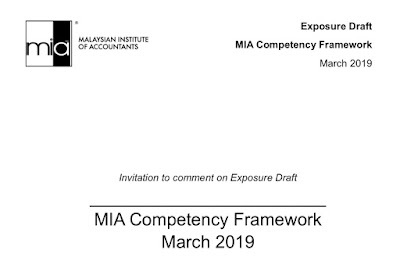 What were the number of referrals to enforcement agencies such as the police and Malaysian Anti-Corruption Commission? If evidence was not enough for criminal action to be taken, were there any administrative actions against those who colluded with the civil servants? • Who should be responsible and accountable for future failures? As we are now moving towards a performance-based administration, responsibilities for ensuring good governance and preventing future abuse of public funds should be shouldered by senior people in the government hierarchy. Clear key result areas and performance indicators should be set for senior civil servants who could make the difference in enhancing the financial management of public funds. Any adverse outcome should be taken into consideration in promotion, recommendation for decoration or extension of contracts. • Could increased peer pressure reduce the incidence of failures in the future? This is where organisations such as Cuepacs could play their role. A strong message from their peers that public servants should be accountable for the power and authority accorded to them would enhance the environment of accountability and good governance in public sector. • How to ensure the AG’s roles are preserved if not enhanced? There were statements made in parliament on the need for the report by the auditor-general to be “toned” down. While those who spoke at parliament have their parliamentary privileges, the High-Level Task Force should be concerned with this sort of statements. The independence of the auditor-general should be protected at all costs. This is about public money, the funds belonging to the people who ultimately decide who should be speaking in parliament. Hopefully, significant change will result from the setting up of the High-Level Task Force. I am also looking forward to better findings in the 2009 Auditor-General Report next year.